The Judicial Commission of Inquiry on the violent clashes in Nigeria’s Kogi state has identified 115 persons responsible for the clashes. 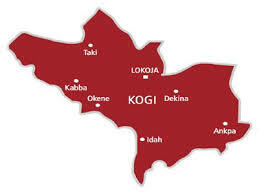 Violent clashes recently engulfed Dekina, Omala and Bassa Local Government areas of Kogi State. The Chairman of the Commission, Justice Josiah Mejabi, said while presenting its report to Gov. Yahaya Bello of Kogi State on Thursday in Lokoja, the state capital. Mejabi did not disclose the identities of the persons. He, however, told the governor that the bloody clashes which left several people dead in Orokwo and Orokwo Bassa communities in Bassa Local Government in May this year involved Igala and Bassa tribes. He also said that the violent crises that occurred in Ogane-Nigwu, Iyade, Ojuwo Ajimadi, Agbenema-Ife and Agabifor in Dekina and Omala local government areas were caused by herdsmen and farmers. Mejabi said that the commission was able to establish those during its visits and public hearings into the crises. He urged the government to prevail on the warring factions to maintain the status quo pending the time it would issue a white paper on the report. The commission also advised the government to assist the victims of the violent clashes in all the affected communities to enable them to start life afresh. Receiving the report, the governor promised to ensure justice by bringing the perpetrators to book. The governor promised not to play politics with the report of the commission, saying that government would continue to ensure security of lives and property of citizens at all times.